As a small business owner it’s easy to put certain projects or tasks off for days, sometimes months. Most people refer to this not so ideal behavior as procrastination, the practice of keeping up with yesterday. Are you really bad at prioritizing your to-do list? Or, Are you just really good at putting off tedious stuff until the last minute? Whatever your case may be, I’m here to help you finish those oh so dreaded task on your to-do list and mental checklists. Today I will be introducing you to something new, a procrastination to-do list. Take a moment to brainstorm about some of the work related tasks you keep putting off. Somethings you might not recognize as procrastinations, but they actually impact your productivity and success. This could be a simple task that you leave for the end of the day, right before you close up your shop. When really the task could have been done from the moment you walked into your business. You might be looking at the list you just created and wondering how you will prioritize everything. Organize your list by significance and occurrence. Significance: Use a numbering system to determine the importance of each item on your list. For example, use the number 1 to represent an entry as being the most important and 5 as less important. Occurrence: Think about how often these tasks or projects come up at work. Daily? Weekly? Rarely? Many times the same task pops up often. Next to each entry, note an estimated time frame of how regularly it will reoccur. Now that you have determined the significance and occurrence of each entry, you should have a better idea of how to prioritize them. Scrutinize your list and rank it by order of importance and timeliness. Since many of the tasks and projects on your list were easy to put off for days, sometimes months, it’s a good chance that they don’t have deadlines. Self-impose deadlines to promote action. When I did not check a task off of my to-do list when I promised myself it would be done, I felt as if I had failed. To make sure that you check all of the tasks and projects off of your list, remind yourself that everything has to get done at some point. Otherwise, it wouldn’t have made the list. Use the significance and occurrence notes on your list to help you associate a due date for your tasks and projects. 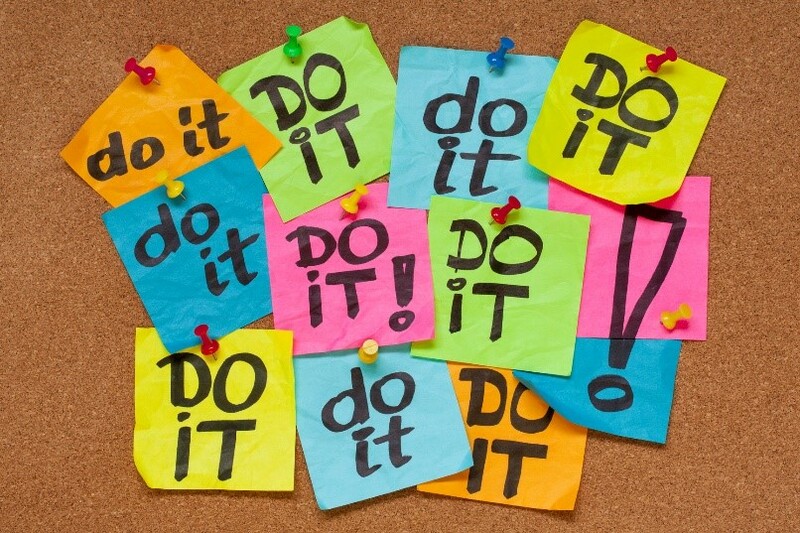 It’s now time to start taking action to complete what’s on your procrastination list by its due date. Now let’s be logical, there’s no way you could spend your entire day checking off each item on your to-do list. So keep calm! You do need to get moving so that you can accomplish as much as you can, as often as possible. Try starting off with the task that you are dreading the most first on your list and you’ll be surprised at how great you’ll feel after completing it. This will motivate you to keep tackling the rest of your day. Each day that you put off something for tomorrow that you could have done today, add those tasks to the list. Don’t dig yourself into a hole. You’ve created a procrastination list which was the hard part. Now just make it a habit to review and add to it daily.